If you were looking for a free quote without having to chat with us, our document word counter does just that. Simply add your details and upload your files and the tool with send you an email with the word count and our translation quote in mere minutes. Our document word counter tool allows you to set and attain word count goals completely free. 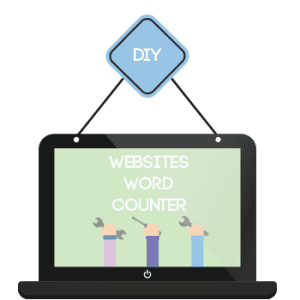 Whether you have a word document or a PDF file, our document word counter tool is designed to count the exact number of words. In just one click, you will get the accurate count of words in your write-ups. In this highly competitive global environment, NordicTrans understands your need to stay within your budget with the project. Thus, we have implemented a free translation quote process that is designed to provide you a total word count and our free quote automatically. To get a free translation quote for your project, please fill out the online form and attach your document. Our tool will send you our quote in a minute, by email. There is no obligation attached to the quote, you can take it or leave it. Translation costs are based on the number of words of your document, and most of the time, you’ll need a document word counter. 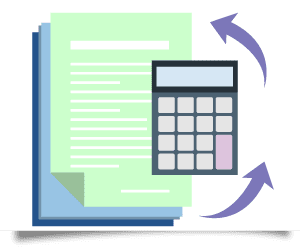 Although sometimes the translation price is based on the number of pages (for instance, when it comes to certified translation), for most documents you need to know the number of words. While in some formats like .doc in Microsoft Word it’s easy to count the words, some other types of documents do not have such features (like PDF files). While counting manually would take quite some time, it’s not a practical way to do it. Fortunately, we have good news for you. Our new script called document word counter does this automatically. All you need to so is to select the languages, upload your document, and our script will count the words and send you a report by email. It does even more: it also gives you our best quote for translating the file. The best thing? Our document word counter is completely free to use, and perfectly safe. We do not store your documents so it’s completely private. It’s fast too, you’ll get your report in a minute, by email! Feel free to use is as much as you like below. If you later decide that you’d like to have us do the translation for you, feel free to call us, send us an email or use the live-chat on our website to get your quote in seconds. We’re one of the most affordable translation agencies, we only use native translators and we’re fast to deliver. If your document is one or two pages, we can deliver the translation the same day! We’re also specialists in the Nordic languages (Danish, Finnish, Swedish and Norwegian), but we can do just about any language combination. Feel free to bookmark this page and use our document word counter whenever you need it! While other may charge you per page or per hour, we are charging you per word. This, in our theory, is the appropriate pricing method and provides our clients with lower costs and more clarity. With NordicTrans, you don’t get only the best translation services tailored to your needs, you also get the lowest prices at this level of quality. We are a leading translation company with offices in the UK and in the US and although we are specialized in the Nordic languages, we provide translations from and into any language. We have over 3.000 translators in our team and we can deal with any document, be it legal, medical, technical or of any other type. We also provide website translation services and software localization. This word count tool is intended to be used for general translation or for translation for business. If you need translation for immigration, please use our certified translation quote tool instead. The price of the document often varies with the number of words in the document. If you want to know the price of the translation that you have to request our company beforehand, you can use our document word counter for your ease. It is a simple tool that makes the translation quotation process faster for our clients. Our word counter works with any documents, counting the words and giving you a price estimate for your document before being translated. We offer the best rates in the industry which are affordable to all the people requesting a translation. We urge you to use this valued service and indulge in the reliable experience that we have to offer. 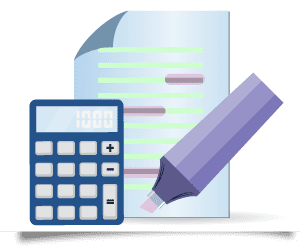 We do not charge any hidden or additional rates that might become a potential worry for you; the tool provides a precise rate and the word count of the document such that you can analyze the specific rate at which the document will be translated yourself. We are a leading translation agency who has the best to offer to our clients, reach out to us and we will help you with any query on your mind. If you prefer to speak with a project manager, or if you need to send your documents directly, please use our live chat feature instead. and if you don’t have the amount of words please go to the next step our word counter.